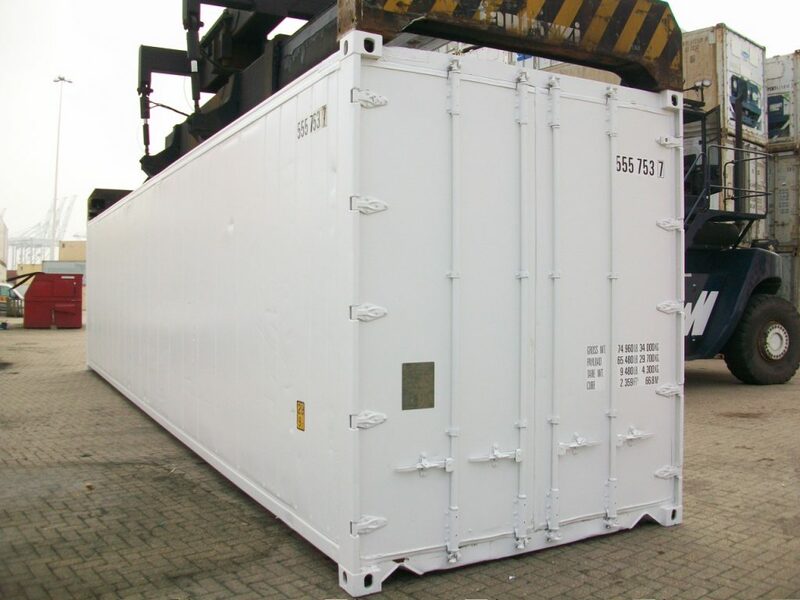 Our second hand insulated high cube 40 ft sea containers combine the space of a 40 ft high cube with the thick insulation of a non-operational refrigerated container, to create a spacious, cool and affordable shipping container. The bonus 1.5 ft of height and the 40 ft length gives you extra storage and cargo room for goods that require a low level of cooling. Insulated containers will keep your items approximately 15 degrees cooler, when in average temperature. Non-operational refrigerated high cube sea containers are reliable, weatherproof, vermin-proof, and made of tough corten steel, providing superior protection for your goods.